This quick little project that was going to be done in August is finally finished. Well, except for the paperback. I’m working on it. 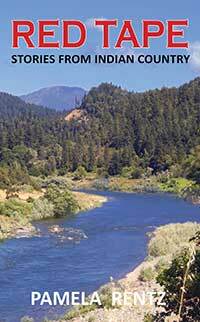 The selected stories have some connection to the people and lands of the Karuk Tribe. Lottie v. The Moon Hopper (originally appeared in Future Lovecraft). 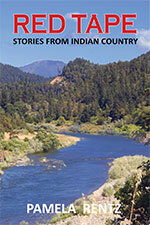 The Last Willow Stick on the River and Reservation Jobs (originally appeared in Yellow Medicine Review). Willow Stick and Jobs have no speculative elements and I gnashed my teeth about including them but in the end decided: it’s my collection, I can do what I want. (previously appeared in Asimov’s Science Fiction) This was my Clarion West week #3 story. (previously appeared in Innsmouth Free Press) I wrote this for a contest with my Clarion West classmates. (previously appeared in The Wordstock Ten) This was my submission story for Clarion West. This was my Clarion West week #2 story. Are you seeing a theme here? Yup, Clarion West Week #5. Clarion West Week #6. This was me trying to do something different since you’re supposed to stretch yourself at the workshop. This was my Week #7 story – the first thing I wrote after I left the workshop. The process was gruesome but I like the way it came out after about 5000 drafts. This story has nothing to do with Clarion West. I was upset about the dredge mining situation on the Klamath and needed to work it out. This was another submission story I wrote when I misunderstood the application instructions. If you already bought it but want the updated version, drop me a note. We can work something out. I have a couple of new short stories floating around out there. Hopefully I’ll have some news to share on that soon. This entry was posted in doing it wrong and tagged I made this, writing. Bookmark the permalink.